Just last week questions were raised about the release of the trailer of Race 3. While the producer of the film Ramesh Taurani, chose to remain tight lipped about the same saying that all would be revealed soon. Now Salman Khan has finally announced the release date of the film's trailer. Taking to the social networking site Twitter Salman Khan spoke directly to his fans who have eagerly been awaiting the trailer of Race 3. Sharing the latest poster of the film Salman added, Sach Batau . We were not ready with the #Race3Trailer . Is liye itne posters banaye . But Intezar ka fal meetha hota hai . The #Race3 trailer coming to u on May15 . And i promise u the wait will be worth it." 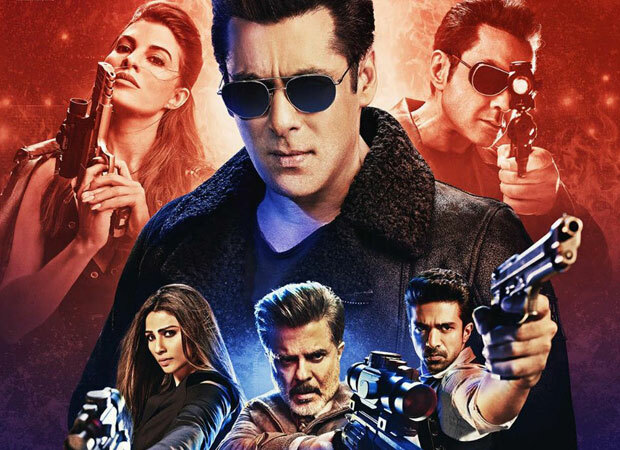 For the uninitiated as per reports, the makers of the film had delayed the release of the trailer till the time they had locked a distributor for Race 3. Now with the announcement of the trailer's release date the question that arises is whether the film has been acquired by a distributor and for how much. As for the film, Race 3 that is directed by Remo D'souza starring Salman Khan, Jacqueline Fernandez, Bobby Deol, Daisy Shah, Anil Kapoor and Saqib Saleem. The film is slated to hit screens on June 15, 2018. Salman Khan ropes in Yash Raj Films to distribute Race 3? Salman Khan With Race 3 Becomes The First Actor To Hold This INVINCIBLE Record!